In family business, having a succession plan and transferring your role as family business manager to the next generation isn’t easy and can be a lengthy process. Because of this, it is critical to prepare for succession by having a plan in place well before you need it. If possible, you should make your succession plan part of your business plan. If you create your plan from the beginning, you will be in a better position to build a business that meets your personal and professional goals as well as your families. Let’s take a minute to review the many stages of owning a family business. The first stage is inspiration and motivation. You and your family have a great idea and decide to put in action. Then comes the planning stage. You begin taking the steps that turns your family business idea into a reality. This step includes researching your competition, defining your target market and creating a business plan. With the planning firmly in place you are ready to open the doors. 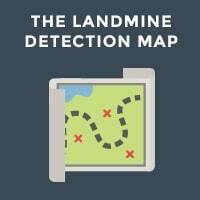 This can be incredibly rewarding for all family members while at the same time a bit stressful. The next stage is the process of building your business. This includes introducing additional products or services and taking strategic steps to grow your family business. This stage of business may last a few months or a couple decades. It all depends on what life throws at you and your families’ priorities and goals. 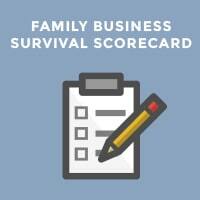 Ultimately you arrive at the final stage of your role as a family business leader. Time to exit your business and pass the leadership to the next generation. This may be due to a planned life change (i.e. retirement) or an unexpected event (i.e. health issues). If you don’t have a plan for this stage, it may cause a family business conflict and even the death of the business. Without a succession plan in place, you risk losing control over your exit process or not meeting your personal, financial or business goals. What Exactly Is An Exit Strategy and Why Do You Need One? 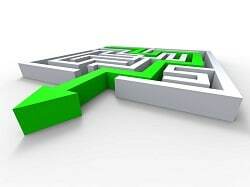 An exit strategy or, in other words a succession plan, is actually part of your business plan. In the sequence of documents within a business plan, the exit strategy is the last portion of the plan. It outlines how you want to leave or let go of your company. While it may feel too soon to start planning for the end, planning your exit strategy early on is essential. 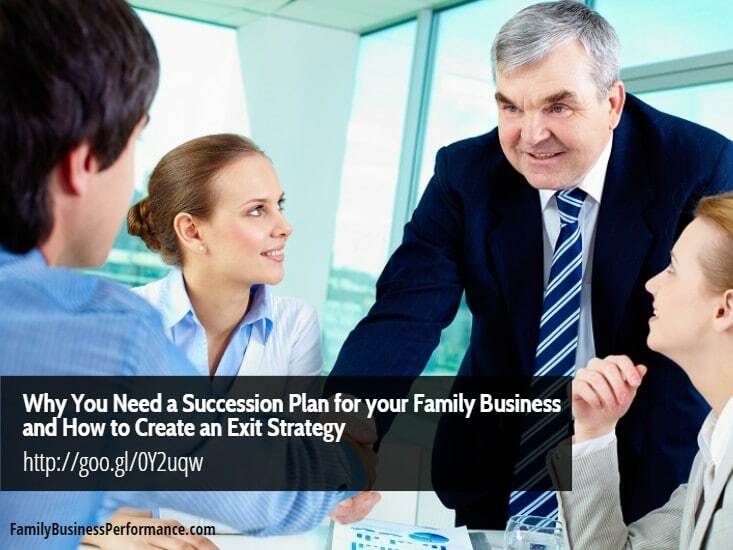 An exit plan allows you to build a stronger family business. With a well thought out exit strategy, you will have the ability to build your family business and achieve your long-term goals. For example, let’s say that you decide that your exit will be to sell your business to your oldest son and use the money to take an early retirement. You can then concentrate on growth areas that will provide you with the most income. This will position your business to be highly competitive and provide the biggest return for yourself and your successor. 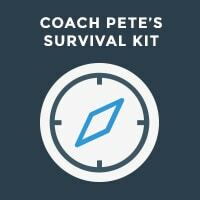 An exit strategy also helps you control how and when you exit. Life is full of surprises and events like death, divorce and disability that can impact your ability to manage your family business. If you have an exit plan, you don’t have to worry about losing control. In a family business, it is important everyone in the family knows the succession plan. If this is put in writing at the beginning stages of the business, the whole family will know what to expect. This will lead to less conflict in the family and a stress free exit for you.